THERE was this ugly female breastfeeding in public. Sies! No, it wasn’t the Street Shelter for the Over-Forties, it was at Mlilwane Game Sanctuary in eSwatini, which they used to call Swaziland. 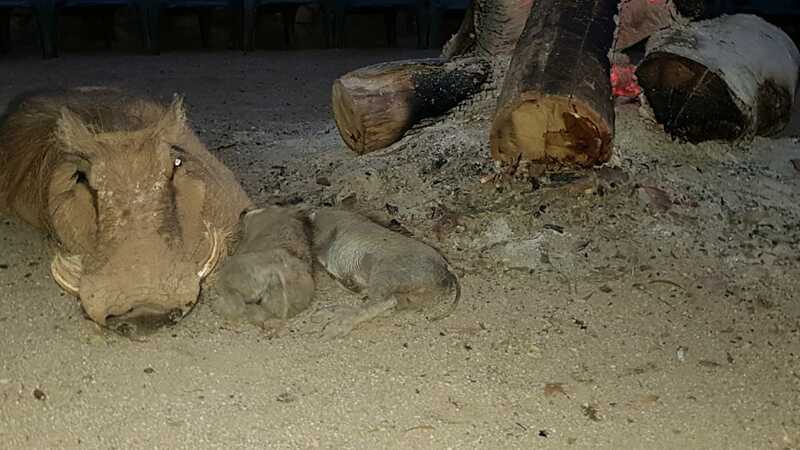 We were at a campfire and this warthog – to be fair, no less beautiful than others of her species – was huddled up to the campfire and suckling her two little babies. The sentiment is one of indignation that the countries of the northern hemisphere – where there are no rhinos except in zoos – should be riding roughshod over the countries of the south that do have rhino and are having the devil’s own job protecting them from poachers who are heavily financed by the illicit trade that has been made possible by the Cites ban, and who threaten to drive the rhino into extinction. If international trade in rhino horn were permitted, the argument goes, the takings could pay for the anti-poaching campaign without a single rhino being unnecessarily killed. Natural attrition plus a degree of private sector horn harvesting would more than supply demand from the Far East, which is driven by traditional medicine, culture and mysticism and fueled by rising prosperity in places like China and Vietnam. Financial fundi Michael Eustace put forward a fascinating blueprint for regulation of a legitimized rhino horn trade, based on the monopoly model used by De Beers to control the international diamond trade. A single horn broker should be appointed to periodically invite traders to a secure room at OR Tambo international airport to view a parcel of horn at a fixed price – take it or leave it. Eustace is co-founder of African Parks, an organization not for profit that runs 14 parks in various African countries, where the governments really could not be bothered. African Parks is responsible for the conservation of some 10 million hectares altogether of wilderness habitat. That was the work side of it. Besides that, there was a lot of fun – conviviality interspersed with bird calls by a senior ranger from Hluhluwe-Mfolosi named Sabelo Mdlalose and the cry of the blue crane from a fellow named Bugsy van Heerden. A wonderful game drive over impossibly rugged terrain. This article first appeared in the South African newspaper, The Mercury, Monday 19 November, 2018.